Buy your ABB inverter UNO-DM-5.0-TL PLUS-SB at the best price - online only. This residential single-phase inverter is ideal for medium sized installations up to 5 kW. It does not have a transformer and provides maximum efficiency (up to 96.8%) for record performance. The S version contains an integrated DC main switch according to international standards. 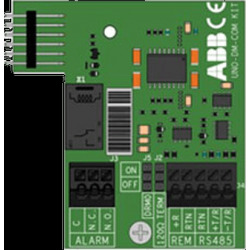 This ABB inverter is equipped with 2 MPPT trackers in a single-phase injection. You have the possibility to install your solar panels on two different roofs. Easy installation: The installation of ABB inverter UNO-DM-5.0TL PLUS-SB is now easier and faster. It hangs higher and the cables can be connected without the use of tools. You will receive a full installation kit with all the accessories, wall hanging, AC and MC4 connectors, screws and bolts, allowing you to set it up quickly. Light: The ABB inverter UNO-DM-5.0-TL PLUS-SB has no transformer but uses a different technology to convert energy. This means it is very light and easy to carry. 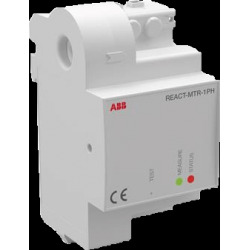 Moreover, the new ABB makes use of an efficient cooling system without a fan: it runs extremely quietly. 2 independant trackers: The ABB inverter has 2 independent inlets allowing your photovoltaic panels to be installed in two different locations (eg. facing east and west on the roof). The ABB inverter guarantees the best production possible for each input. Single-phase inverter: The ABB inverter UNO-DM-5.0-TL PLUS-SB is a single phased inverter.